When you are selling products on Amazon, having the perfect prices for your products is key to making a decent income without struggling. How do you make your product stand out among many competitors? How can you boost your profits without driving away customers? And how can you tilt the odds in your favor that a shopper puts your product into his or her shopping cart? Here are 18 strategic tips that use psychology to give you an edge over your competitors. Let’s say you are selling a knife sharpener. When a buyer looks at the list of products on Amazon, many of the options look the same. Everyone has lots of positive reviews. How do you stand out? The key is to make the purchase feel personal for the shopper. Step One: Reviews Shoppers scan through their options on the search results page in seconds. The first thing they’ll do is to look for reviews. Products with no reviews will be discarded very quickly. Step Two: Photos Then the shopper looks at photos. In the case of our knife sharpener example, the photos are all so similar, so they won’t make much of an impact. Step Three: Price The next thing a shopper will look at is the price. When I look at the price options, I see $17.99, $14.99, and $12.99. I reject the $12.99 model immediately, it is just too inexpensive. I assume that low price means low quality, and discard it in my mind. It attracts me because I personally relate to the benefits of some of the keywords in the title. Plus, the price seems reasonable. And there is a coupon. Step Five: Coupons The coupon adds a bit of magic to your listing. None of the others have a coupon, but this one does, so it makes this product a stronger choice. There are now two things that attract me to this product, I personally relate to some of the keywords in the title and there is a coupon. I click through to the product page. Shoppers are wondering, could I relate to the product, would it make sense in my personal life? Make sure that your pictures show how your products would make life better for your potential customers. Step Seven: The Right-Hand Side of the Product Page Shoppers then start to look at the writing to the right of the pictures, and they see the coupon again. What did I mean when I said a coupon makes a listing more personal? What is personal about a coupon? When shoppers see the coupon, they wonder what it is and why they are getting it. Are they just lucky? If they leave the listing and come back, will it be gone? Do they just need to click on it to apply it? So they try it, and it works. They got a 20% extra savings, and now they don’t want to leave the listing! They click add to cart to see how much they saved, and it says “$3.00 discount applied.” Cool. And now the shopper is very likely to just check out at this point and complete his or her purchase. Did you see how important the coupon was? Having a coupon set the product apart from its competition while making the buyer feel lucky. It reduced the time that the buyer spent shopping around with your competitors. And look what else happened. Do you remember when we discarded the $12.99 option as being the lowest-priced offer? Well, in the end, the buyer paid only $11.99. This listing still ended up costing less, but it didn’t get immediately discarded as being low-quality. When you are playing with your price, you don’t want to position yourself at the very bottom. By using coupons, your customers feel like they got a good deal, rather than settling for the cheapest option. Coupons are a big opportunity because most sellers are not using them. Coupons catch the eye, they make your buyers more attached to your listing, and they are so easy to set up. First, you’ll need to select a discount amount between 5% and 80% of the price. That means that if it’s a $40 knife sharpener, you have to offer at least $2 off. You cannot offer a $1 discount. For the budget, I always enter $1,000,000. That might seem crazy, but I know that most advertising platforms are designed so that they try to maximize the spend. I haven’t tested this yet with Amazon, but I hope that if I put in a large budget, they will send me extra traffic to use up those coupons. Keep in mind that for every coupon, the redemption cost is $0.60. So for every buyer who uses the coupon, you’ll be charged $0.60. However, in my experience, for every three people who come to my listing, only one redeems the coupon. I don’t know why the others don’t use the coupons. But I got the traffic and I didn’t have to pay for it. So in the end, you spend $0.60 for three buyers and end up spending only $0.20. This is a very good deal. Remember that coupons expire. You don’t need to set them up again, but you do need to remember to click the button to renew them every 90 days. Once you set up your coupons, you want to be sure that they are working for you, and here’s how: Don’t change your title or anything else about your listing right after you have added a coupon. Keep everything else as steady as possible so that you are sure that you are measuring your coupon’s effect. Use your business reports to review the data for the past three months and check how many sessions you have had and what your conversion rates are in your listings. Compare the results before and after you started offering a coupon. You should see that both the traffic to your page and your conversion rate are increasing. You can measure the actual benefit your coupon is having. So what kind of discount should you be giving your customers? Here’s how to pick a good amount. You want to make it easy for your buyers to estimate what kind of discount they are getting. Keep your coupons simple. If you have a $21 product, offer a $3 listing and it’s easy for your buyers to understand what kind of deals they are getting. A product that costs $21.79 and offers a 15% coupon is much more complicated. Now let’s say you have two products that both cost $21 and one has a $4 discount coupon where the other has a $3 coupon. Which is better? You might think that the $4 coupon is better because it’s a bigger discount. But actually, the $3 discount works better. Three times seven is 21. Psychologically, it’s easy to calculate the discount the buyer is going to receive. It takes longer to figure out what the buyer will actually have to pay at the end when the discount is $4 off a $21 item. Use multiples of your price so that your customers can very quickly calculate the amount of the discount that they are getting. In psychology books, they always say that if the price is bigger than $100, give a discount as a percentage (aka, 15%), and if the price is less than $100, offer a dollar amount. But in reality, this is more applicable to furniture stores and things like that. On Amazon, all of our products are under $100 and it’s harder to calculate a percentage. I always offer coupons in dollar amounts. Aside from coupons, another feature that attracts buyers’ attention on the search results page is a sale. A product on sale has the price crossed off and a lower price next to it. This makes buyers feel that they are getting a good deal. Why don’t more listings have a sale price? Because Amazon is selectively choosing where to show the crossed-off prices. So how can you make Amazon show the crossed-off price for your products? The product is a very good seller. It doesn’t have to have a “Best Seller” badge, but if your product is making Amazon a lot of money, they will show the sale price so that they, and you, make even more money. It’s a very good deal. If your product is not a great seller, you can cheat the system temporarily by offering a discount that is greater than 50%. Sometimes, it won’t make sense to offer a big discount. If your item is a low-end item, it won’t make sense to enter a high manufacturer’s price. But if it does make sense, try it. What happens is that Amazon will give you the crossed-off price for about one week. After one week, they will hide the sale again until your item becomes a bestseller. Now, you may be thinking, all that effort for one week? But really, it’s not that much effort. You just put the manufacturer’s price in the back end and you will automatically get a one-week boost to your sessions and your click-throughs. 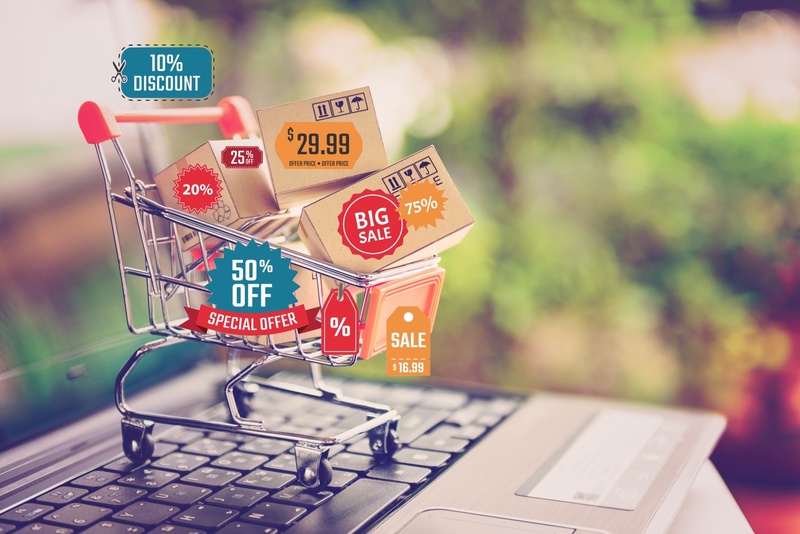 Even if the sale goes away after one week, you will have a cascading effect with more traffic and more sales that last for up to two months afterwards, and hopefully Amazon will take off for you from there. And if you do this for all of your listings, it can have a major impact. Bundling is when you pack two or more items together, put a red label on them that says, “Do not separate,” and ship them to the FBA together. When you bundle, the customer is happy to buy more than one unit because they save money. Meanwhile, your cost is the same to acquire them, and the referral fee is about the same whether you sell one or more items, so you only save a few cents by bundling. But what happens with the FBA fees? The FBA fees barely, barely increase. And that’s where you will see the benefits. You will make a strong profit by saving those fees. So by bundling, the buyer is happy because they pay less, and you are happy because you make much more profit per unit. So bundling is a very, very good idea. If you haven’t done it, you should try it. Although in some cases, bundling doesn’t make sense. Let’s say you are selling a rice cooker and people don’t buy more than one rice cooker at a time. Then it might not make sense for you to bundle. But you might not know which products make sense to bundle ahead of time. For example, with a knife sharpener, maybe people buy one unit for the kitchen and one for the garage. You never know. So don’t rush to use your own judgment about what to bundle. First, release your products one at a time and then look at your business reports. To decide which products to bundle, you’ll want to concentrate on two columns: units ordered and total orders. If those two numbers are about the same, then nearly everyone ordered just one unit and bundling doesn’t make sense. But if your number of orders is significantly less than the number of units you sold, it means that people are buying more than one and bundling is a good idea. Using this strategy means that you won’t be wasting FBA storage fees on bundles that won’t sell. Becoming an add-on item is a killer for you as a seller, because a buyer cannot purchase your item until he or she purchases at least $25 worth of other items. Your conversion rates will drop big-time. So how can you avoid becoming an add-on product? You are at risk of becoming an add-on product if: You have a very heavy item, or you have a very large but light item and the price of the item is low. From Amazon’s point of view, they are losing money on these kinds of items because the cost that they have to pay to ship to the buyer is less than the total FBA and referral fees that they are getting from you. If they will lose money on the shipment, they will make your item an add-on. But looks what happens when you raise the price. Suddenly, Amazon is not losing money when they fulfill the order. There are two things that you can do to avoid becoming an add-on item: Don’t price your items below $10. If your item is not worth more than $10, bundle it with multiple units of the same item or with different, related items. In either case, Amazon is making money from your fees so they do not need to make your product an add-on. If buyers don’t have Amazon Prime, they have to spend a certain amount in order to get free shipping. That exact amount varies across the different Amazon markets worldwide. It’s important to keep the free shipping amount in mind when you are pricing your items. Why? Take the United States, for example. Buyers need to spend at least $25 to get free shipping. Now, let’s say you are selling a product for $20.99. Buyers without the Prime membership need to pay shipping on that item, so they end up paying $26.47. What happens if you raise your prices above the free shipping threshold to $25.99? Not only are you making more money, but the buyer is actually saving money. They are paying $25.99 instead of $26.47. So your profits rise and so do your conversion rates. It’s a good idea to look at all of the products you are selling and see if any of them are close to the free shipping threshold. If so, experiment with raising your price. Your buyers will get a better deal and Amazon will also run “Free Shipping” promotions for you, which is exciting for the buyer and which will increase your conversion rates. Split testing allows you to test your prices, either manually or by using a tool like Splitly to do it for you. Usually, these tests work by trying one price for one week, and another price for the next week, and that’s it. But are you really getting reliable data using this method? Usually not. There are so many factors that can influence your results other than price, like major holidays or a change in season. It is hard to keep a test pure and free from outside influence so that you can be sure that the price really made the difference. Start out by picking a date range without any major holidays. Also avoid any smaller holidays that might have an impact on your products, like Halloween or Cinco de Mayo. Make sure you are not running any PPC campaigns during that time frame. PPC can change the results of your tests based on bidding changes, which can disguise the impact of your pricing. Go to your business reports and look at the number of sessions you get for your product for a week. Also take a look at your conversion rate, so Unit Session Percentage. Use a free online tool like ABTestGuide.com and select a reasonable expected percent change. Pick a small but significant number, if you go for a large change, you will end up with a very long test. Under “Unique visitors on your test page per week,” put in your weekly sessions. Choose a number for the “Max number of weeks for AB test”. For seasonal items, six weeks is a good choice. For products that remain stable throughout the year, you can pick a bigger number. The tool will then tell you the minimum amount of time that you will need to run a split test in order to have a statistically significant result. Then run two batches of tests. Let’s say that the minimum test time was four weeks. Run one price for two weeks, then the second price you are testing for another two weeks. Make sure you skip any holidays. Then run the first price for another two weeks and the second price for another two weeks. By doing split testing this way, you have enough data to be sure that you are seeing the true impact of the price changes. You should absolutely split test your prices because you will be surprised by how much better higher prices can work for your products. Your price is too high and your conversion rate drops. Amazon notices that buyers are not choosing your product so they send less traffic to you. It is hard to get that traffic back, even if your conversion rate holds steady again. If you are split testing and your conversion rates start to fall, stop all testing and go back to your original pricing. It is very, very easy to lose all of your rankings and it is very hard to get those rankings back again. The good news is that the opposite happens as well. If your conversion rate rises, you will get more traffic. But it is vital that you don’t just set up a split test and forget about it. Be sure to check your business reports daily to ensure that your conversion rates are staying steady or increasing. If you go into a supermarket, you’ll see prices like $2.99, $5,99, $23.99, everything ending in $0.99. Ever wonder why they do this? What’s the psychology behind it? Well, we read from left to right, and we tend to skim, paying attention to the first numbers and forgetting the rest. When we see $29.99 we think two and when we see $30.00 we think three. Even though the prices are just a cent apart, one of them feels much more expensive. But there’s more to it then that. When you look at the two items, which one seems more luxurious? The chances are that the one that is priced at $30 seems more luxurious. The one that costs $29.99 feels more like a bargain, which does not lead you to think it’s high-end. If you want to position your item as a high-end item, you should go with round numbers. And this holds true for all odd and even numbers. If you have one item priced a $42.99 and another priced at $42.98, the second one feels more luxurious, even if everything else in the listing is exactly the same. So for a bargain: use odd numbers with a nine at the end of your price, like $41.99 To seem more luxurious: use even whole numbers like $42.00. Now, some people use all kinds of strange prices liks $17.21 or $29.35. Oh my goodness, just stop. Our eyes aren’t used to scanning prices like this, and we don’t really take them in. A buyer is likely to just skip past your products and move on. Playing with the numbers usually cuts into your profits, anyway. If you charge $29.27 or $29.99, your buyer will only really see $29. But if you sell ten of those items per day, you will end up making $3,577.00 at the end of the year at $29.99 but only $985.50 if you charged $29.27. By playing with the numbers, you throw away a lot of money with no real benefit. My advice is ,just use either 98 or 99 depending on whether you want to position your product as a luxury or a bargain. So you’re just launching a new product and you don’t have a price history yet. How do you decide how much to charge for it? With Amazon, if you start with a high price and reduce it over and over again, they don’t have a problem with it. But if you start with a low price and raise it, you can’t just from $12.99 to $49.99. You will have to raise it in small increments of just a few dollars per day. And it will take many days of lost profits to get to the price that you want. When you have a regular buy box on the right-hand side of the screen and you increase your price too quickly, Amazon takes away the buy box, even if you are the only private-label seller offering the product. Amazon replaces the buy box with a box that says, “See all buying options.” And this is a complete conversion rate killer. The buyer may think that the product isn’t really available and go somewhere else. You don’t want to lose the buy box, so you need to play the game Amazon wants you to play and increase your prices slowly. To avoid having to do that, when you are pricing new products, don’t start low and don’t start too high. To find the right starting price, you’ll need to calculate two prices: your floor price and your ceiling price. Step One: Calculate Your True Break-Even Price Your floor price is your break-even point. To calculate this, use an app like Shopkeeper or simply use an Excel spreadsheet. Now, many sellers make a mistake when they are calculating their floor price because they consider only the obvious costs like manufacturing, shipping, and Amazon FBA and referral fees, and think they have their break-even point. But no, there are also other costs including monthly and long-term storage fees, placement fees, inspection costs, import taxes, advertising costs for your PPC campaigns, refunds and exchanges, and more. You have to consider all of these things when you are calculating your break-even costs. Step Two: Your Ceiling Price Calculating your ceiling price is simple: Take your floor price and add a 40% margin to it. There may be some industries where this doesn’t apply, like if you are selling supplements or are in another high-margin category. And if you are a wholesaler or a retailer, your margin will probably be 10%. But for most private label sellers, 40% is probably the sweet spot where the customer will be ready to pay the price and you are still making a good profit. Step Three: Picking a Starting Price Now, you’ll need to set your starting price somewhere close to your ceiling, but not quite there. So if your floor price is $23 and your ceiling price is $38, you’ll want to pick somewhere around $32. Then look at your free shipping threshold and see if you need to change your price based on that. Step Four: Verifying Your Starting Price Once you start seeing the results, you can decide whether you need to tinker with your pricing. If things are going well, you can slowly start raising your prices. 13. Should You Offer High-End or Low-End Products? It’s no surprise that higher-end products make a bigger profit. You will probably sell fewer of them a day, but you need to sell far fewer units to make the same profit than you would win a lower-priced item. However, you might feel like you can’t afford to meet the Minimum Order Quantity (MOQ) of a high-end item. If you have a limited budget for your product launch, you may think that you need to buy a lower-end item. You can better afford 1,000 units at $0.50 apiece than $1,000 units at $20 apiece. But here’s an important insight: if you go to your manufacturer, you will usually find that higher-priced items have lower MOQs. So a cheaper item might have a 1,000 unit MOQ, but a more expensive one only 50. You end up buying fewer items at a time and having to spend less money in advance. OK, all items might not work this way, but that’s the general tendency. Instead of thinking, I don’t have much money, I need to go for a low-end item, you can go for a higher-priced item, get a lower MOQ and have fewer units you have to sell while making more profit. You will struggle far less. Once you have made a lot of money from the first batch, you order as many units as you want. Sometimes it’s useful to add keywords describing the price in your listings. You can use a tool like Sonic to see how many people are looking for Amazon products with various keywords. For example, if you enter “cheap squishies” into Sonic, you will find that many people are searching for cheap squishies and many more are also looking for “super cheap squishies.” So you should be sure to add “cheap” into your title and you can consider adding “super cheap squishies” in the back end tools. If the volume isn’t that great, you can skip adding it to the title and only put that keyword into the back end. So come up with a long list of synonyms and plug them into Sonic to see what brings the most traffic and what is worth adding to your title. Not as many people search for those keywords, but you will make more profit from the ones that do. You need to decide whether your item is cheap or expensive. Why? Because there are two types of shoppers, and you need to know how to appeal to both. The Methodical Shopper My brother is a methodical shopper. When he buys something, he does all the research. He visits different websites and compares prices. He looks for deals. He buys slowly, with a lot of thought, after considering all his options carefully. The Spontaneous Shopper I am not like my brother, I am a spontaneous shopper. I don’t like to do a lot of research. I go to one website only, Amazon, I check a couple of prices, and I buy what seems best to me at the moment. I buy quickly without thinking too much about it. Now, sometimes people can be both. The same person might be spontaneous under time pressure but more methodical when they are buying an expensive item. As a seller, you can charge spontaneous shoppers more. You will have fewer sales but make more profit. For the methodical shoppers, you will make more sales but have less profits. According to Google, 60% of purchases are methodical and 40% are spontaneous, so it’s good if you can appeal to both. A good strategy is to look at your competition and determine what is missing. If there is a glut of inexpensive items, position your products as high-end and vice versa. So how can you position your items? Well, go to your manufacturer and ask them to add a wooden box, or a velvet bag. This might cost you a few extra dollars but you will be able to charge much, much more. On the other hand, if you notice that your competition is mainly high-end items, go to your manufacturer and ask how they can strip the item down to give you the cheapest model you can get. Then you can position yourself as the most affordable option. It’s important to recognize your own financial limitation box. You might consider $30.99 expensive for a knife sharpener. As a seller, if you think you’d never pay more for an item, you probably also wouldn’t charge more, because who would ever buy it at that price? But you need to climb out of that financial limitation box. There could be many buyers who wouldn’t even blink at paying higher prices than you would. For example, my brother once raised a listing’s price by accident and the sales didn’t even slow down. Shoppers didn’t care about the price change, even though he found it extravagant. So rely on data to determine your prices, not your personal feelings about how much something should cost. Keep in mind that under $40, most people will just go ahead and buy something they need without thinking about it too much. Above $40 is when they start feeling like maybe they should talk it over with their husband or wife. So look at your competitors’ listings. If everyone is staying under $40, then you should as well. If you try jumping to $42, you will have a problem with the pricing psychology. You also want to stay within the price range of your competitors. If you see that everyone else is around $15, $17, $20 and you try to charge $8, you will look like you are offering low-quality junk from China and no one will want to buy your products. At the same time, don’t try to jump to $45 with the same-looking item, because people will think that there is something wrong with your listing. You have to take the existing prices from your competition into account. The exception is if you have a very unique-looking item. If you are the first to sell a unique twist on the product, you can go ahead and charge more. But if you have a similar item, you have to stay within the range. When you are looking at the range, if you are selling a cheap item, try to position it at the higher end of the price range, and if you are selling a luxury item, try to position it at the lower end of the range. When you are looking at your competitors’ prices, make sure that you are not only looking at the snapshot of a single day. Most items fluctuate in price over time. Use a tool like Jungle Scout to see how the product has been priced over time. For example, the unique item we talked about before was usually priced around $69, but on some days it dropped to $25. If you had based your prices on the one day when it was $25, you’d be losing a lot of money. So research at least five of your biggest, strongest competitors to see how their prices trended over time. Look at their average price, not the price on any given day. Then you won’t be basing your strategy on a single snapshot. What Your Competitors’ Reviews Can Tell You About Prices Sometimes you can get amazing insight by checking out the words that shoppers use in your competitors’ reviews. For example, reviews that say things like, “great knives for the price” and “expensive but worth it” let you know that shoppers are willing to pay more for good quality. A Quick Tip About Business Buyers I discovered something by accident that you can do on purpose. If you registered for Amazon business, you can give a special prize to business buyers. So if they buy at least 10, they will get 10 percent off. Amazon.com has a maximum price of $300,000 (the exact maximum varies around the world).. Now, you might think, I will never have an item like this, why should I care? Well, maybe you should have an item like that. Why? No one is ever going to buy it. Well, that’s true, but there are many blog posts about “The 10 Most Expensive Things You Can Buy on Amazon” and similar round-ups. And those blog posts and news articles keep popping up. You can take advantage of this by going to your manufacturer and saying, “OK, let’s take my usual product and make it very, very unique.” Maybe you can make it tiny, or otherwise unique. Buy one sample and ship it to your FBA, and then list it for $250,000 or $300,000. You will get so much benefit from this listing because the traffic will come. They will see the expensive item and will not buy it, but they will may buy the affordable versions you have listed next to the unique one. And your rankings will rise because external traffic is a very, very important ranking signal for Amazon. So it will only cost you a reasonable price for your unique item but you will reap many benefits from listing it. And that’s it. Using these 18 psychology-backed pricing strategies will help you have more success with your product sales on Amazon.